Books. Some of my best experiences have come from the pages of a writer’s mind. I’ve been held captive in more books than I can count…some even revisited from time to time when I desperately feel the need to recapture the feeling I once had in between the lines on a page. I once read that a book is truly the only place in which you can examine a fragile thought without breaking it. When a friend recently did a random “how well do you know your friends?” quiz with me, one question was: Does your friend prefer books or movies? Though she knows I love movies and has actually never really been around me reading a book, she still guessed right away that I was a lover of books. I guess it’s the subjective and evocative nature of written fiction that creates a real intimacy between your mind and emotions—proving Edmund Wilson’s point that no two people have ever read the same book. Once in a while, however, a movie will come along that resonates deep within me and stays with me like the pages of my favorite reads. Two such movies have had my mind reeling recently—Wild and American Sniper—both based on memoirs I had yet to read, while also being politically and socially controversial—intriguing me even more. Wild is a beautiful film based on Cheryl Strayed’s memoir, recounting her solo 3-month, therapeutic journey along the Pacific Coast Trail from the Mohave Desert through California and Oregon to Washington State. As an inexperienced hiker, Cheryl’s journey was a desperate pursuit, a battle of sorts, to find herself once again after losing her young mother a few years earlier, and further messing up her life through a careless and dangerous fling with heroin leading to a failed marriage. Her soul’s “sole” mission on the journey was simple: “walk myself back to the woman my mother thought I was.” This beautifully poignant memoir carries with it not only the physical weight of Cheryl’s immensely heavy backpack she wore along her journey, but through a series of mini-flashbacks, she further carried the emotional weight of the haunting memories of her loving mother and her own reckless lifestyle. Truth be told, when it comes to American Sniper I didn’t realize how much this would stay with me. Both gripping and unforgettable, it highlights US Navy Seal, Chris Kyle’s masterful account of his extraordinary battlefield experiences, in what I consider to be one of the greatest war memoirs of all time. But ultimately Chris’ biggest battle begins at home, in his desperate attempt to piece together his life on the other side of the battlefield. Two very different movies, yet both sharing a common thread: both Cheryl and Chris were each walking through their own personal valley of shadows and found it hard to find the light casting them. In the late Fall last year, I began experiencing panic attacks and levels of anxiety daily that I have never experienced before. Often they would even wake me from a sound sleep…in a torturous effort to bind fear and brokenness. In those dark moments, even with prayer at my helm, I couldn’t shake the 3AM attacks that came out of left field. For many reasons, I kept the problem tucked away safe within the confines of my mind—finding it too difficult to discuss with anyone, mainly out of guilt. I felt guilty that I could even be anxious about anything, especially as I watch friends in the cancer community—many in the active battlegrounds of treatment, others actively dying before our eyes. What could I possibly have to panic or feel anxious about? Part of me knew that a “positive” attitude in prayer should instead have me celebrating the fact that I’m finally through with active treatment and almost nearing the end of reconstructive surgeries. At a regular appointment with my oncologist in early December, I broke my silence about the situation. When she first told me what she believed was going on, I was in denial. There must be another “PTSD” than post-traumatic stress disorder, I thought. How can someone compare my cancer journey to the many war veterans that legitimately have PTSD, like the Chris Kyle’s out there who have heroically served on the front lines and witnessed firsthand the horrors of battle. After all, I am just an ordinary person, a simple girl, who happened to go through what millions of other people before me have gone through in the realm of surviving a cancer diagnosis. My oncologist went on to share with me that though it’s often easy to only place victims of PTSD with war soldiers returning home from battle; in fact, the condition is believed to be caused by the experience of a wide range of traumatic events including death, serious illness or some situations in which the individual felt intense fear, horror, or powerlessness. She also revealed that what was going on with me was common timing among many young cancer survivors out of active treatment. That said, she suggested I go on a short term, mild antidepressant that was considered a popular, safe choice with many cancer patients. 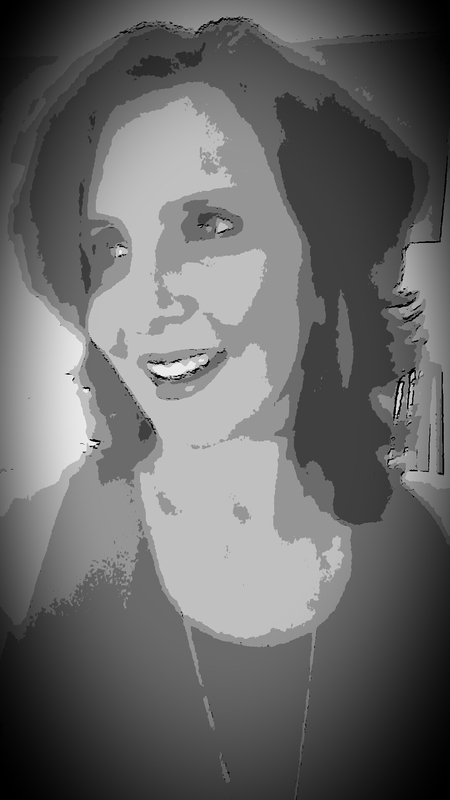 I took her advice and after a few weeks on the drug, I found myself in the small percentage of patients who had extreme adverse effects, including racing heart, blurry vision, unbearable muscle cramping, vivid nightmares, severe depression…and much darker thoughts of suicide—something completely foreign to me. Currently, as I’m on the upside hike of that downhill spiral, it seems I had built such a wall between my cancer diagnosis and treatment experience and how I felt about the entire experience that I was incapable of reliving both simultaneously. I could talk about everything that happened, even walk through treatment and surgeries with a smile, but I couldn’t feel them. When I tried to bring it all together in the fall, when I tried to remember how I had felt and the frenzy the last two years had been…I disappeared in my own head. Chris Kyle’s journey from the throes of war back to civilian “normalcy” was clearly no easy feat… his memories of life in battle and his longing to be “back to normal” in civilian living were nearly impossible to experience simultaneously. As Chris finally found the light casting his dark shadows through passionately serving soldiers struggling with the fight to overcome PTSD, he went on to shine the spotlight bright on the condition, co-founding FITCO Cares, the non-profit foundation dedicated to help ease veterans back into civilian life. As Cheryl Strayed’s journey along the Pacific Coast Trail progressed, as she shed the physical load and symbolic emotional weight from the backpack—some of those deep wounds of death and destruction were able to find air to breathe…and heal. Towards the end of Wild, approaching journey’s end at the Bridge of the Gods over the benighted Columbia River, Cheryl writes: “I felt fierce and humble and gathered up inside, like I was safe in the world now.” Cheryl, too, had found the light that had cast her darkest shadows. Carrying heavy loads we were never intended to carry, filled with things such as fear, worry, discontent and heartache—make it easy to grow weary and worn out. We all fight battles in one form or another, and sometimes it’s our frail human nature that desperately pleads for these battles to be taken away from us. Many times we carry these loads as we walk through the valley of shadows…never realizing that it’s only in struggling with these shadows that the light is made manifest. Have mercy on me, my God, have mercy on me, for in you I take refuge. I will take refuge in the shadow of your wings until the disaster has passed. 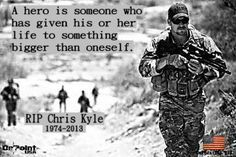 Chris Kyle’s service, life and premature death will never be in vain.